Hair oh hair... with the amount of various hair products I have in my stash, you'd think that I'm a hair whiz but alas all is not what it appears on the surface. More often than not I'm a wash and wear type of girl but I'm very keen on using repairing and protective products on my hair. Over the past six months I've been pretty consistent with my haircare and I have a some really fabulous items to share. Joico K-Pak is usually sold exclusively in salons but I have seen it in drugstores like London Drugs and Shoppers Drug Mart (check their clearance shelf for those crazy $10 deals). You might also spot them from time to time at discount shops like Winners. TRESemme and L'Oreal are widely available in local drugstores across the country, L'Oreal is often shelved very high or very low on the rack. Kao's Essential Damage Care line is quite popular and can be found through ebay, on SaSa(.com) or even in many Asian supermarkets. Lucido-L products are quite elusive so I've included direct links to available sellers that I could find on ebay though you might be able to find them in Asian supermarkets as well. I'm hoping to be able to grow my hair back to this length in the photo again. It's so much more fun to play with when I'm in the mood even though it takes more care. Here's to a productive hair growing winter! Don't be shy, share your favourites with me too! I lost a lot of my hair and take vitamins which I think is helping. 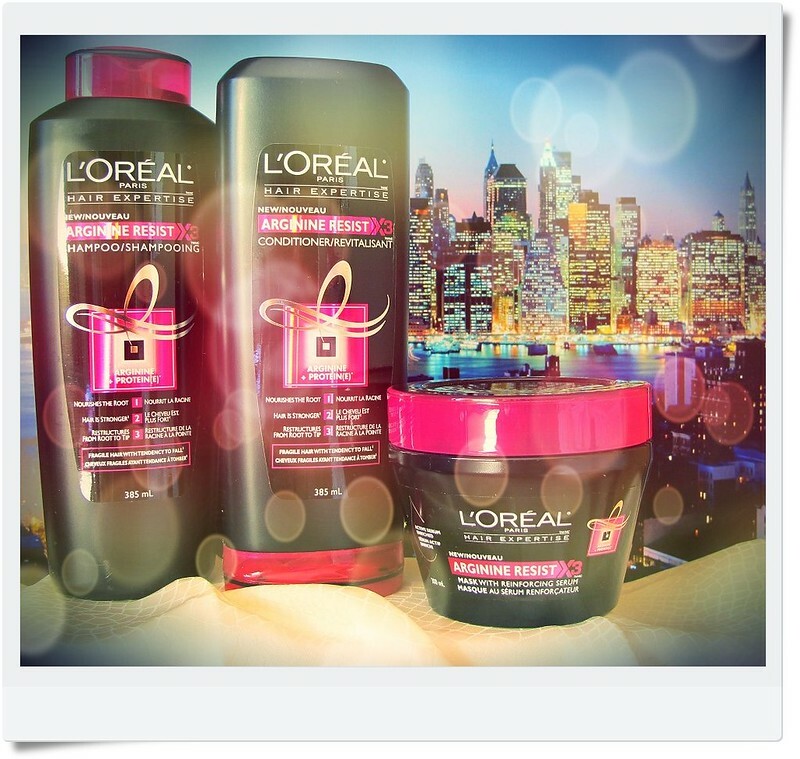 I love loreal products....but feel all of them are the same after while. 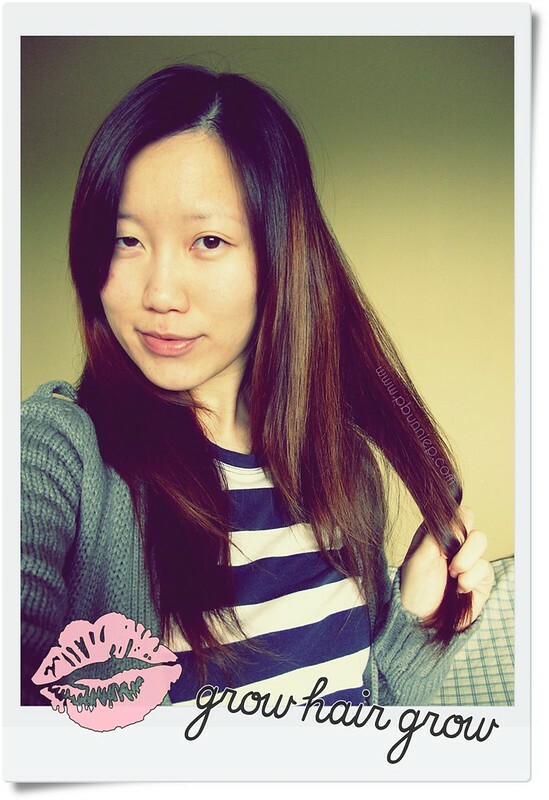 1. oil pre-shampoo hair treatment. Some people like the oil heated slightly, I prefer cold. You can do just your scalp (for hair growth treatment), from your ears down (so your scalp doesn't get oily), or (like me) root to tip. I leave it in for a few hours to overnight. I use olive oil alone or sometimes a mix of oils. My mix right now is olive oil, camellia oil, and sweet almond oil. 2. shampoo. I only shampoo my hair 2-3 times a week. If my shampoo isn't specifically anti-dandruff I mix a few drops of tea tree oil in it. Tip: I navy wash which means I will run the water to wet my body and hair then when I soap up, shampoo, exfoliate, condition the hair I turn the tap off for a few minutes to do what I have to do. This means I can keep the shampoo on for a while like a shampoo treatment. Sorry, no recommendations. I sort of don't care about shampoo as I've never had an adverse or amazing results and I sort of feel all shampoos pretty much work. 3. condition. I used to use deep conditioning treatment but now I just remove excess water from my hair before I condition by wringing it out and put on conditioner. I don't rinse it out but get out of the shower and put lotion on and after a couple of minutes rinse the conditioner out. There's no reason for it and my hair is only slightly better because of it. Confession/ recommendation: Before I didn't know you had to comb your hair before showering so a lot of shampoos tangled my hair and few conditioners could untangle it. The few that could are any from the Pantene line and, surprisingly, any conditioner that comes from those hair colouring kits the best being L'oreal Preference. Seriously, it coats the hair and untangles everything. But again, I feel most conditioners work pretty well so I don't really pay attention to it unless its Garnier. I hate the smell of their products that is this artificial fruity floral thing enough to turn me off of the company. 4. I'm trying to get into hair mists as an after shampoo treatment currently I have the Chi Keratin Mist. I did really well with the Ojon but more often than not it is a step I forget. Confession: When I was younger I had tons of acne and hated astringents (they were stingy and dried out my face). I went to the library and a beauty book disavowed toners in favour of rose water. I was so happy because I thought I could stop using astringents and did (though I didn't replace it with rose water). A few years later I went to an Asian supermarket and saw two types of floral water (one $2.99 and the other $3.99) and bought the $2.99 one. I put it in a spritz bottle as a toner. It made my face so soft to the touch and its just floral water not rose water. But if I had dry patches it would feel softer but not moisturized and gone. Then I (for some reason) spritzed it on my hair and it was also super soft to the touch and the smell was amazing. I've tried to find floral water or rose water and its hard. I know there are recipes out there but I haven't tried. So I'm on the hunt for rose water and (from other recommendations) orange blossom water. For hair styling/treatment I go with formulations that have macadamia nut oil (the cult favourite one out there) or argan oil (not the famous one but a decent knock-off). I like them because I use the smallest amount and when I do feel like heat styling my hair it really did replace a lot of products. The end result with it is that my hair doesn't have too many split ends even after more than 1/2 a year since a hair cut. In the future I would like to try the Tsubaki Head Spa oil shampoo thing. It seems like an interesting concept. Another thing I want to try is a clay mask instead of a shampoo. Specifically, I want to try ghassoul clay. I heard it is a Moroccan secret and works really well but mostly for people with thick curly/wavy hair like me. The only thing stopping me is that I heard it can be quite a mess for the bath tub and a plumbing hazzard.